I always did like Strada's so they were always gonna end up on one of my Zeds. I recently sold a longer set for a Z1000. I bought maybe 8 or 10 shocks and made good sets from what I had. Some of 'em all had the same issue though and ended up binned, the reservoir tops can be impossible to remove but I do still have a few spare bits an pieces hiding in mi shed. I have a spare genuine rebuild kit in my stash too - they are going for (even more) stoopid money when/if they ever surface on the 'bay now ! I paid large for my kit - but not quite 200 quid large !! i had a pair on my Z400 they where rock hard it was hard to not bounce of the seat. Cheers mate. What I'm trying to achieve is to transform my ELR to look more like the factory S1 model (but without the race number boards). I doubt these Works Performance shocks will perform as good as the currently fitted old school Ohlins, but they are the real deal and I've upgraded the internals. 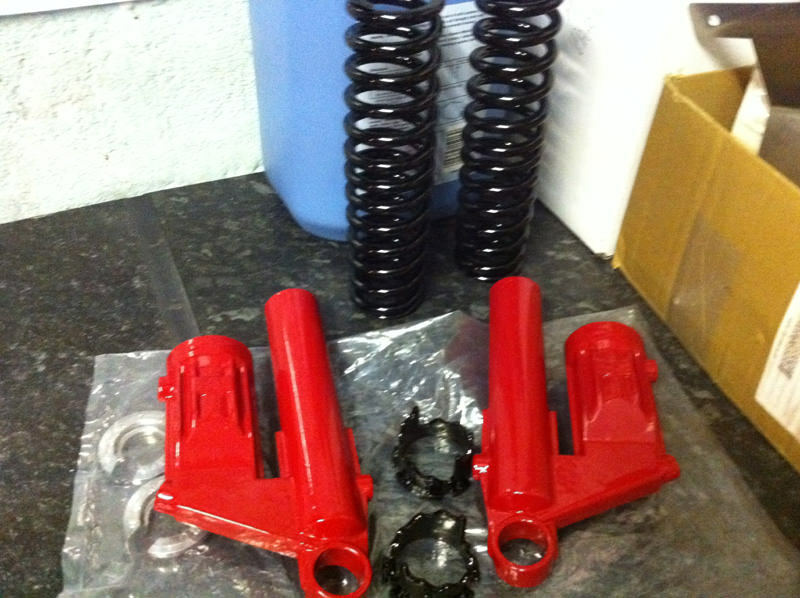 I've also recently managed to get hold of a Calfab swinging arm, as was used by KMC Racing back in the day. It won't be here in the UK until Feb next year. That sounds interesting. It'll be good to see the end result. i was skint it was all I could do to keep riding hence the Z400J. Just wanted to say that you might be interested in the write up about Steve Willgoose`s bike in this months Classic motorcycle mechanics. I would be very interested in your thoughts and assessment of the bike he has.